For most of our time since kicking things off nearly a decade ago, we’ve only had one hotel featured for Cuenca, Ecuador. For most of that time the city was a magnet for expatriates on a budget, but wasn’t drawing enough high-end tourists to support several luxury hotels. As the number of visitors keeps picking up to this highland city, however, historic Hotel Santa Lucia has been quietly upping its game. The great bones have always been in place. 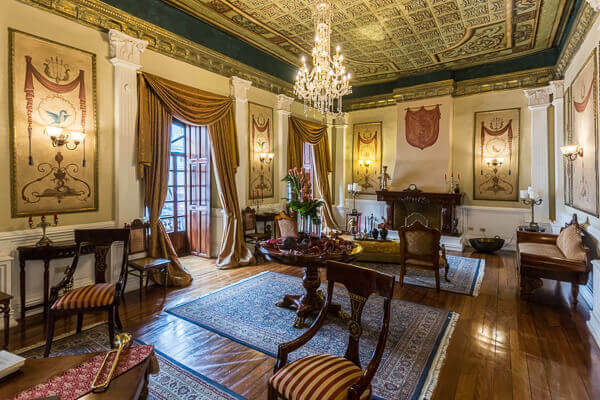 It first went up in 1859, as the opulent home of the governor. It stayed in the family for a century and eventually became a hotel in 2002. Many original elements remain, like the hardwood floors, painted murals, and carved door panels. Since the founding of the hotel this city’s fortunes have been continually rising, with more foreigners putting Cuenca on their list and more displaced locals returning after earning good money abroad. There are two restaurants and a bar here, all often filled with upper-crust locals as much as visitors. The more formal option is in the courtyard, very romantic at night, while the more casual dining option (where the included breakfast is served) faces the street. There’s no denying that the rates are a great value, however, with a splurge here not being much of a splurge. Rates for the best suite top out below $200 double, including breakfast. 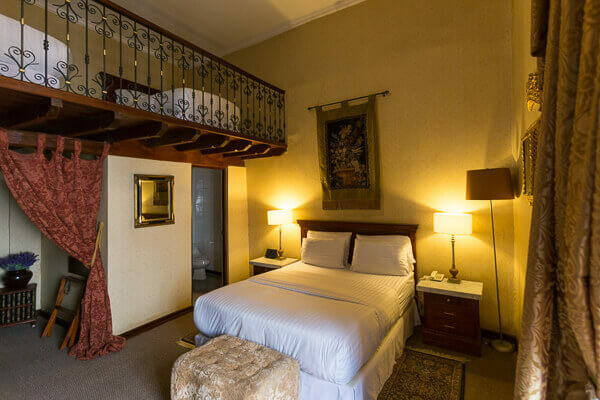 See our detailed review of Hotel Santa Lucia in Cuenca, Ecuador.